Can one jailbreak iOS 10.3.3, 10.3.2, 10.3.1, 10.3 or iOS 10.2.1? If not, what is the latest state of an iOS 10.3.3 / 10.3.2 / 10.3.1 / 10.3 / 10.2.1 jailbreak for iPhone and iPad? Over time, we’ve come to understand that movement in the jailbreak community tends to come in fits and starts. There’s inevitably a period of time where nothing happens, and the wheels turn slow, which is generally followed by a period of rapid progression where key members of the community tend to work closely together to announce and release exploits and tools. Once again, this activity pattern has proven to be true, culminating in the release of Luca Todesco’s Mach_Portal+Yalu iOS 10.1.1 jailbreak for select 64-bit Apple devices, and the subsequent yalu102 jailbreak for iOS 10.2 for non-iPhone 7 64-bit devices. The Mach_Portal+Yalu was the first ever public jailbreak released for iOS 10 and is based on Google’s Project Zero exploits published by Ian Beer which was patched by Apple in iOS 10.2. The subsequent yalu102 jailbreak for iOS 10.2 uses a different technique but as mentioned earlier only works on non-iPhone 7 64-bit devices and it has been patched by Apple in iOS 10.2.1. Luca Todesco has proven himself to be one skillful hacker with the necessary skills and abilities, but releasing a jailbreak for iOS 10.1.1-10.2 and iOS 10.2.1-10.3.x will be an entirely different challenge, especially given that iOS 10.3.x introduces Apple’s new File System APFS. There’s then also the fact that Todesco himself has already said that he will stop working on all public iOS research work after 10.2 jailbreak. With iOS 10.2.1 and 10.3.x having no single proof yet of a jailbreak, even in private, let alone public exploits being available for it, and with Todesco saying he won’t be working on public jailbreaks anymore, there is currently no iOS 10.2.1-10.3.x jailbreak on the horizon. Having said that, it is important to remember that where the jailbreak community is concerned, you literally never know what’s around the corner. We have seen surprise releases in the past that came out of nowhere. So it’s highly possible that members of prominent jailbreak teams – such as those belonging to TaiG or Pangu – have been sitting quietly on information or exploits that are usable where iOS 10.2.1-10.3.x is concerned – but haven’t shared anything about them in public yet. We highly suggest you downgrade iOS 10.2.1 to iOS 10.2 while Apple is still signing the firmware in order to make use of yalu102 jailbreak for iOS 10.2. Also save SHSH2 blobs using Prometheus so that you can downgrade to 10.2 even after Apple stops signing it. As always, we will endeavor to keep you abreast with the latest iOS 10.2.1-10.3.x jailbreak status, and if anything changes we will bring it directly to you immediately. Stay tuned. Looking for Yalu102 jailbreak for iOS 10.1.1-10.2? Check out details on it at: Jailbreak iOS 10 / 10.2 / 10.1.1 On iPhone 7, Plus, 6s, iPad Pro Using Yalu [Updated]. Update x1: Apple has stopped signing iOS 10.2 now, killing the easier way to downgrade using iTunes in the process. You can learn about your other downgrade options here. Update x4: At a security conference, Pangu team has demoed a jailbreak for iOS 10.3.1 with rumors floating around that they are going to release it sometime next week. You can find more details on it here: iOS 10.3.1 / 10.3 Jailbreak By Pangu Demoed, Release Date Set For Next Week?, and can prepare your device for the rumored iOS 10.3.1 jailbreak by Pangu by following our guide here: iOS 10.3.1 Jailbreak: How To Prepare Your iPhone For It The Right Way. Update x5: A new rumor now says iOS 10.3.1 jailbreak by Pangu will drop once Apple makes iOS 10.3.2 public. Update x7: Well known security researcher has promised to release exploits for iOS 10.3.1 that can then be used by a developer for making a public jailbreak tool for iOS 10.3.1 devices. Here are the details: iOS 10.3.1 Jailbreak Promised By A Security Researcher But It Might Take A While. Update x8: iOS 11 is now available in beta form, with Apple still signing the older iOS 10.3.1 firmware. If you upgraded to iOS 11 for testing purposes and want to downgrade back to iOS 10, we suggest downgrading to iOS 10.3.1 instead of iOS 10.3.2 or 10.3.3 as iOS 10.3.1 has had a jailbreak demoed for it. You can learn more about downgrading from iOS 11 back to iOS 10 here: How To Downgrade iOS 11 Beta To iOS 10.3.3 / 10.3.2 [Tutorial]. Update x9: iOS 10.3.2 as well as iOS 11 beta have just got their first jailbreak demo! You can find more details on it here: Jailbreak iOS 11 / iOS 10.3.2 Demo By KeenLab Shown Off At MOSEC 2017. Update x10: Apple is now no longer signing iOS 10.3.1 firmware. You can learn more about this update here. Update x11: Apple has now made available to download final version of iOS 10.3.3. Update x12: After Ian Beer’s exploit release for iOS 10.3-10.3.2, Jonathan Levin has confirmed that it can be used to create a developer-only jailbreak. More details on it can be found here: iOS 10.3.3 / 10.3.2 Jailbreak: Downgrade From Latest Firmware As Jailbreak Is Possible On iOS 10.3.2. Update x13: Apple has now stopped signing iOS 10.3.2, which means you can now no longer downgrade your device from iOS 10.3.3 to iOS 10.3.2. You can learn more about it here. Update x14: An upcoming iOS 10.3.1 exploit will soon enable users to downgrade from iOS 10.3.1 to iOS 10.2 and then jailbreak using yalu102. You can learn more about it here. Update x15: iOS 10.3.1 ziVA exploit which could lead to a jailbreak is now available to download. 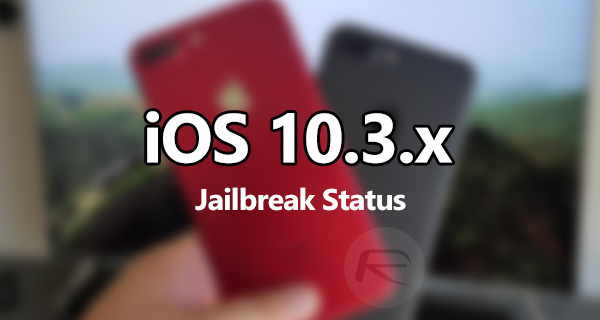 Update x16: Update on iOS 10.2.1 jailbreak with yalu102, and KeenLab finally posting video demo of their iOS 11 and 10.3.2 jailbreak. Update x17: Apple has now released final version of iOS 11. You can check out update jailbreak status on iOS 11 here: Jailbreak iOS 11 On iPhone And iPad [Status Update]. Damn that’s crazy. Did you put it on your phone to spy on yourself or on somebody else haha? Just upgrade to iOS 11. Is so much nicer and snappier than 10. Jailbreak is dead people. I gave up. To my knowledge IOS 11 is also slower than 10 depending on device and very buggy unless you fully update. Jailbreak 10.2.1 came out within the last week. Exploits exist for 10.3. If your willing to loose the majority of jailbreak tweaks then give up, but that question hasnt actually changed. As a heads up to keep the knowledge uptop, 10.2.1 has been jailbroken. 10.3 still lacks a jailbreak to my knowledge. Ah and I suppose to mention the obvious, Jailbreak alternatives like IPAstore still work awesome, even on 11+, just remember that if your looking for free apps, Many hacked applications not updated yet for 11+ will not work on updating, so your even loosing functionality from the alt jailbreaks. keep us posted when the 10.2.1 saigon ipa is available for public download. I’m staying on 10.3.1. I’ve given up in the past and missed out on a jb, won’t get caught slipping again. When I’m old and rich, jailbreakers and PBS will have a spot in my will. Oof. No updates since September 22. 10.3.x jailbreaking is dead. Todesco was able to gain root access on iOS 11. He might not regret updating soon. If you’re in iPhone 6s, you can still downgrade to iOS 10.3.3 as Apple weirdly opened up downgrading to it only for 6s. Only thing I regret is the annoying shutter sound for the camera which I can only remove it by Jailbreaking…. Truth, Essentially just ask yourself why cydia or any jailbreak would ever need human verification or a captcha to verify your an admin? Jailbreak is breaking your phone to give you admin rights, cydia has admin rights already through the jailbreak… at that point, what point would there be to verify your humanity.. they both have what they need from the moment they start running, and dont rely on a server to do it because jailbreaking happens on device. Definitely a good choice, jailbreak is usually better than whatever apple is going to release unless they finally do something interesting with their operating system. not just tout “AR” which has been around for a good 10 years as a new feature, and that the control panel will take up your whole display and become less useful but more pretty. 11 is a different story from 11.0.1 and 11.0.2 and 11.1 is on the way. and each of those will patch exploits, and each one fixes major problems caused by IOS 11. 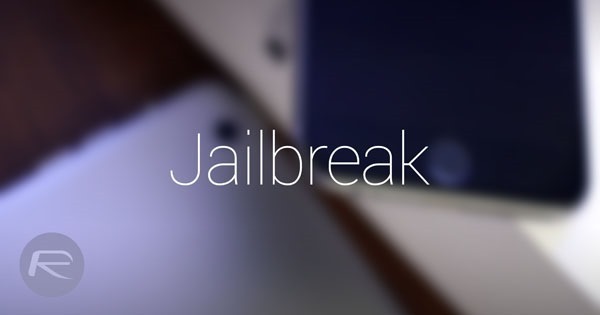 Most recent news says 10.3+ jailbreaks still not done even though jailbreak exploits exist. 10.2.1 Saigon close to being compiled to IPA, few people on github working on compiling ipa first when properly functional. If anyone is on 10.2.1 —- Saigon Jailbreak is out!!! Although it’s still in beta and doesn’t support iPhone 7 yet, the rest of 64bit devices are supported. Lots of people, and 10.2.1 was just jailbroken so im not sure how dead it is. Github release according to top post. 10.3.3 jailbreak exploit exists, just needs to be completed. a billion people can say a rock is an apple, doesn’t change the facts. I’ll downgrade to 10.3.3 when there’s a jailbreak. For some strange reason, people with the iPhone 6S can downgrade to it. As for iOS 11, Todesco managed to root it with a Safari exploit, so I’m hoping something happens with that. Can I update my iPhone 7 from 10.2 up to 10.3.X although 10.3 is no longer signed? Should I stay on 10.2 or should I install ios 11? I have an iPad Air ‑ Wi‑Fi + 4G running 10.2.1! I downloaded the saigon ipa when it was first released. I sideload it and it didn’t work, it read “Jailbreak failed at Escaping sandbox”, with a reboot button at the bottom. Now I downloaded the recent saigon beta ipa and it didn’t even tried jailbreaking it. “Device not supported”. I hope they fix it soon! I was on ios 10.2.1 and upgraded to 10.3.1 due to that pangu rumor that 10/3.1 would be more jailbreakable than 10.2.1. then pangu started orking for aple and it turns out that rumor was a ploy to get people to update. i have an iphone 5 on ios 9.2 that is jailbroken with home depot. the weird thing is that even if my phone does not reboot, it will eventually loose the jailbreak and i will need to re certify with impactor. its like after the certificate edpires, i loose the jailbreak even if the phone does not shut off. anyone else run into that issue? do you have ext3ender installed?